Festivities for the 2013 Boudin Cook-Off begin tomorrow morning at 10am with the blessing of the boudin in downtown Lafayette at Parc Sans Souci. 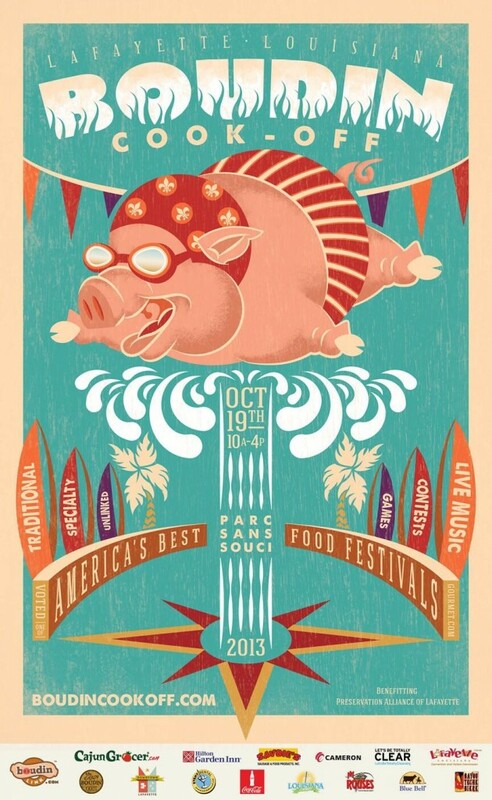 After that, the activites come in a whirl of pork liver and boiled rice with live bands, a boudin eating contest, and of course a rigorous competition with dozens of teams and restaurants competing. I’d give anything to be there. UPDATE October 22nd 2013. This entry was posted in FOOD, The Foodist and tagged Chop’s Specialty Meats, Early’s Cajun Supermarket, johnson's boucaniere, lafayette louisiana, lafayette lousiana, t-boy's, winners 2013 Boudin Cook Off. Bookmark the permalink.